These five redfish recipes are winners in our book. If you're looking for a few fish recipes that will tempt your tongue one after another, you've stumbled upon the ultimate list. While these are directed toward redfish, they're almost entirely universal, and can be used for a bunch of different fish species. There's a lot of debate about whether to remove the skin or not, so here are a few suggestions prior to scaling. 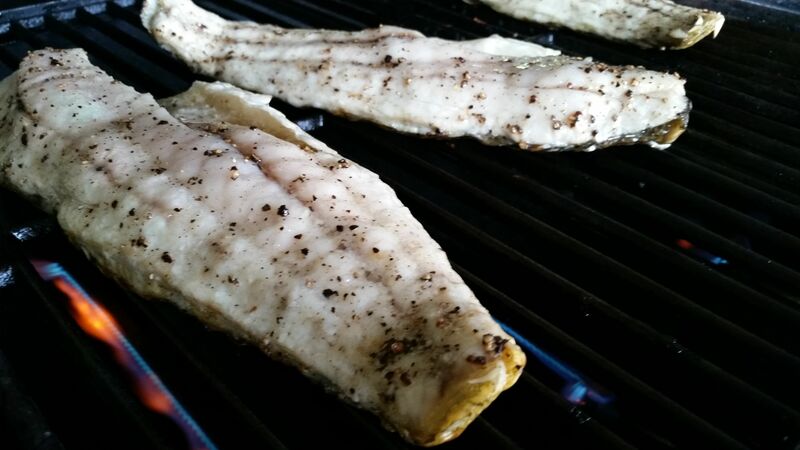 If you're going to fry, grill, plank bake or smoke redfish, it's best to leave the skin on. The skin will help in keeping the fish moist while cooking and can be removed afterward. If you're going with other methods, it's pretty much up to you. Here are the short-and-sweet recipes, each one as delicious as the last. Fillet the fish and leave the skin on, then make a few light relief cuts in the skin. Lightly brush oil on the skin side, turn it over to the flesh side and season it with salt, pepper, garlic and a touch of cayenne pepper. Toss the fillets skin side down on a medium-hot grill and cook for about six minutes or until the skin is crisp. Flip the fish and cook an additional three or four minutes. Remove it from the grill and let it rest for five minutes. Just before plating, add a few squeezes of lemon juice and serve. Prepare the fish by filleting and removing the scales and skin. In a large bowl mix 2 cups buttermilk, 1 teaspoon of salt, 1/2 teaspoon of pepper, 1/2 teaspoon of Old Bay seasoning, and 1/4 chopped onion and place the fish in the mixture. Cover it with plastic wrap and refrigerate overnight. Take them out of the marinade and pat dry. In a cast iron skillet, add 3 tablespoon of olive oil and heat for a few minutes. As the oil just begins to smoke, place the fillets in the skillet and cook for a few minutes on each side. Then remove the fillets and let them sit for five minutes before serving. If you love smokey flavors, this is a great way to make redfish. Make sure to soak the plank for a while in water, preferably overnight, but for at least 45 minutes. A simple dash of salt and pepper is good enough, since the wood plank will flavor the fish for you. Place a small amount of oil on the fish to keep it from sticking to the plank. A sprig of rosemary and a few lemon wedges are a nice touch, too. Place your seasoned fish on the cedar plank and put the plank on a medium-hot grill. Cover the grill or use a large metal bowl or aluminum foil to keep more of the smoke in. Remove fish when it just starts to become flaky, which should take 10-15 minutes. Consider serving the fish with plank-grilled vegetables, but discard the planks when you're done. There's nothing more healthy than baked fish. A few unique tips can help get the most out of your fish. A cooling rack, a rimmed baking sheet and some seasonings can go a long way. I fillet my fish first and then season them with some Cajun seasoning, salt and pepper. Heat the oven to 350 degrees and place your seasoned fish on the cooling rack. Then, place the cooling rack on your rimmed baking sheet and throw it in the oven for 20-40 minutes, depending on the size of the fillet. When you see the fish getting flaky and easily pulling off with a fork, it's time to come out. Once out of the oven, I put a teaspoon of melted butter over the fish and give it a small squeeze of lemon juice. This one has to be my favorite! You can either use a deep fryer, or a 6-8-quart-deep pan and only add enough oil to fill it just less than halfway. This prevents your pan from boiling over when you throw the fillet in the hot oil. I also recommend canola or peanut oil when cooking fish to get a higher smoking point. The hotter oil cooks the fish better without the greasy taste. Whisk these ingredients together in a medium bowl and set aside. Cut your fillet in the desired size, and place them on a paper towel. Salt the fish and let it sit for about 20 minutes. Pat dry with paper towel, removing excess salt and any moisture. Place it in the batter, covering all sides the best you can. Drop the fish in the hot 350-375-degree oil. Try holding them over the surface, and laying them down instead of dropping them to avoid splashing the oil. Cook until the batter appears golden brown, remove the fish from the oil and place them back on paper towels to remove any excess oil. Let it sit for five minutes before serving. If you have leftover batter, it can be placed in a freezer bag and frozen until next time. Are there any other redfish recipes you like to make that we didn't include?